This particular Safety was created from yellow, pink, and white gold, with an engine turned spider web design in each section. It is a very detailed and unique; look closely and you can even see the spider. 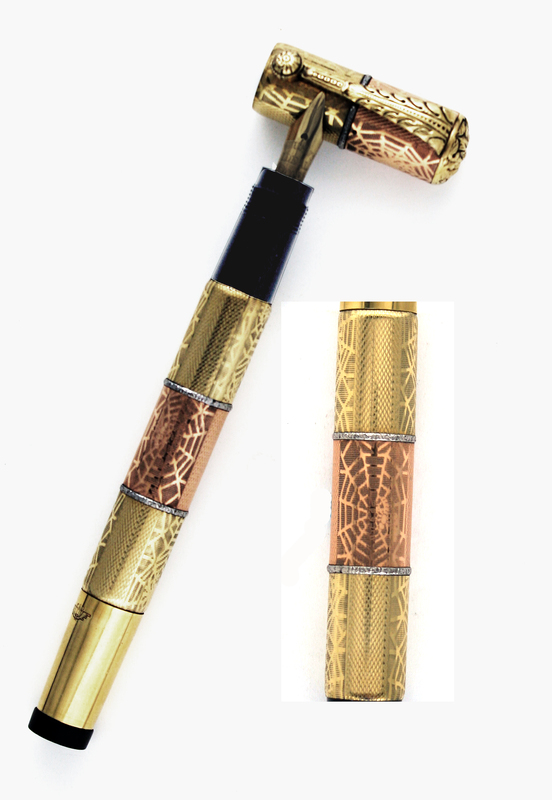 Fountain pens are not just items of utility; they can be elaborate, fancy, and complex. 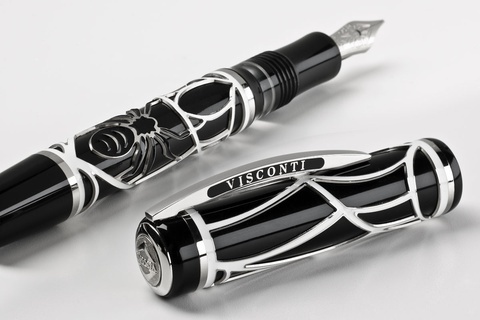 We still see fountain pens with spiders on them today, such as on the Visconti Istos Aracnis.